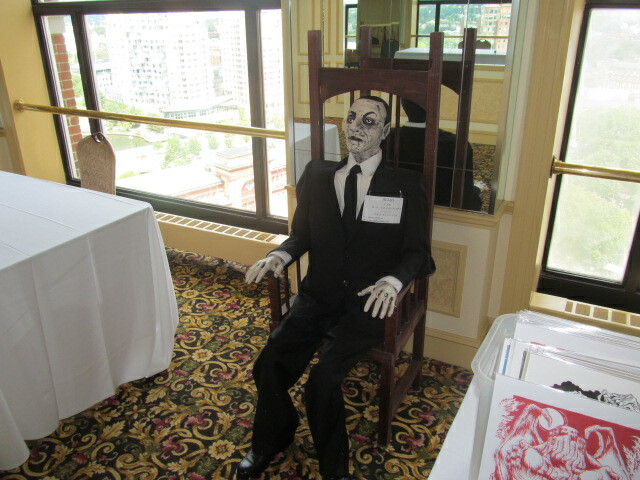 It has been a number of years since the city of Providence has celebrated the life and work of H.P. 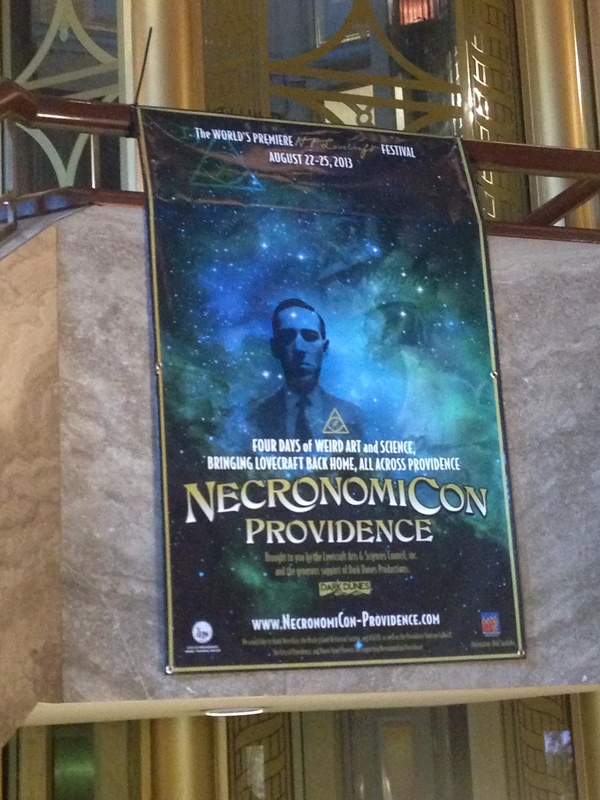 Lovecraft with the convention, NecronomiCon. 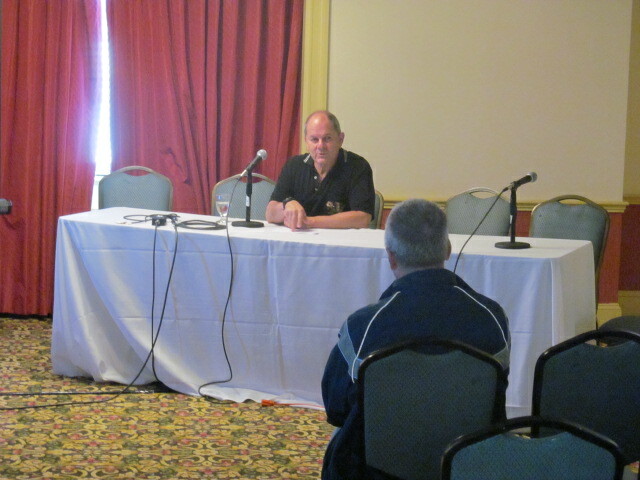 It was expected to have about 1200 people attend, convention director Niels Hobbs said. 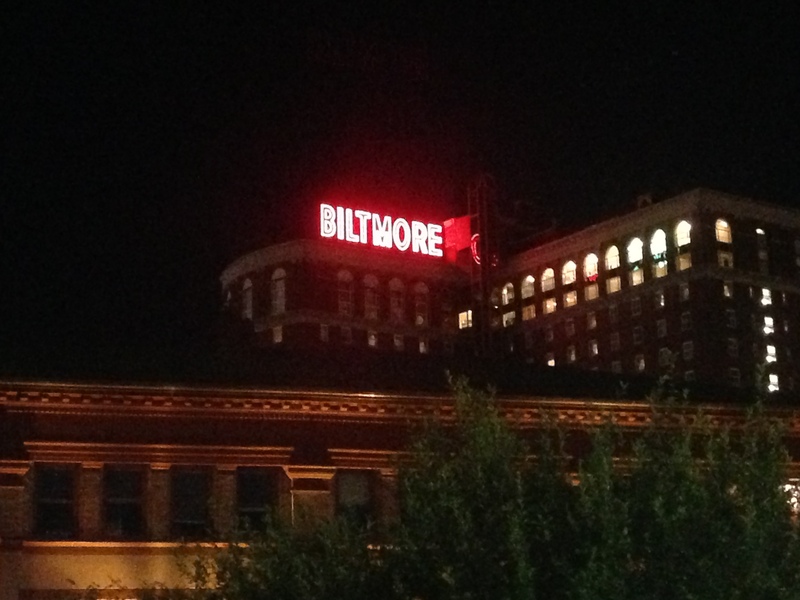 The convention ran from Thursday, August 22, through Sunday, August 25 and took place at the Providence Biltmore. 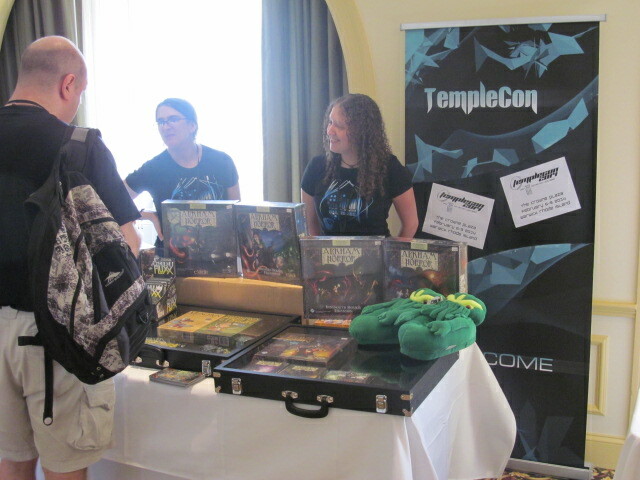 Putting on a convention is a huge undertaking and the organizers did a great job. The only noticeable problem was the program wasn’t available at the start of the convention. They arrived a few hours later. 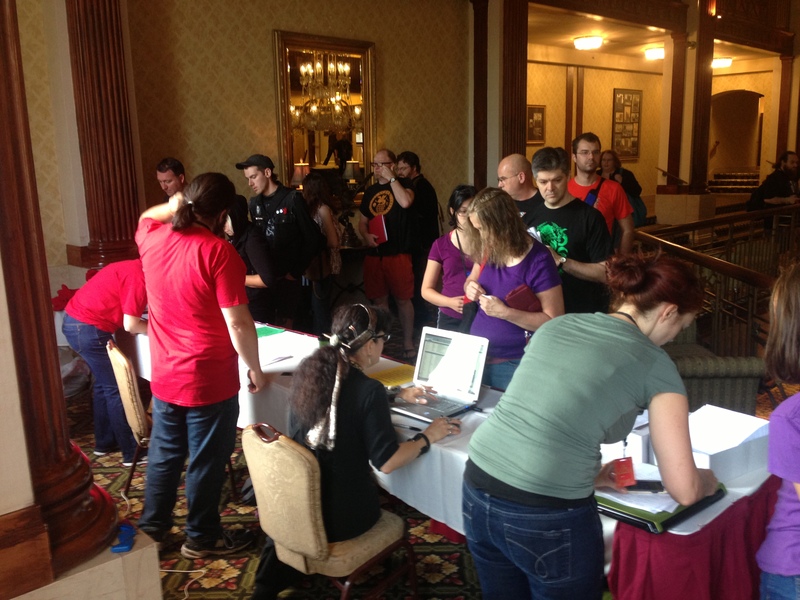 The printer should have had them delivered at the beginning of the month, a volunteer at the registration table said. 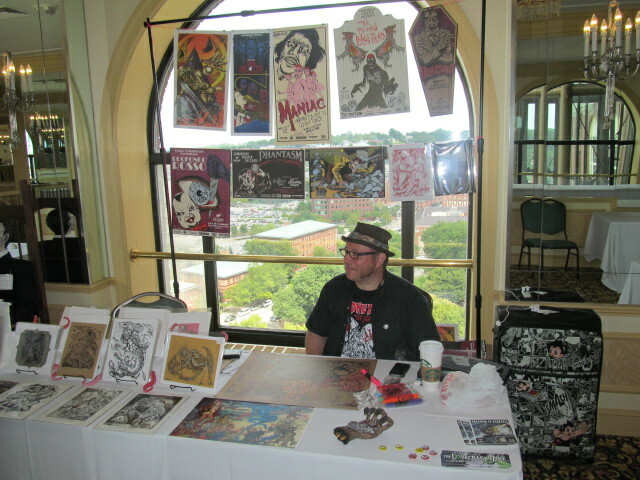 The convention was spread throughout Providence at eight different locations, Hobbs said. There were art shows, gaming, and movies being shown. 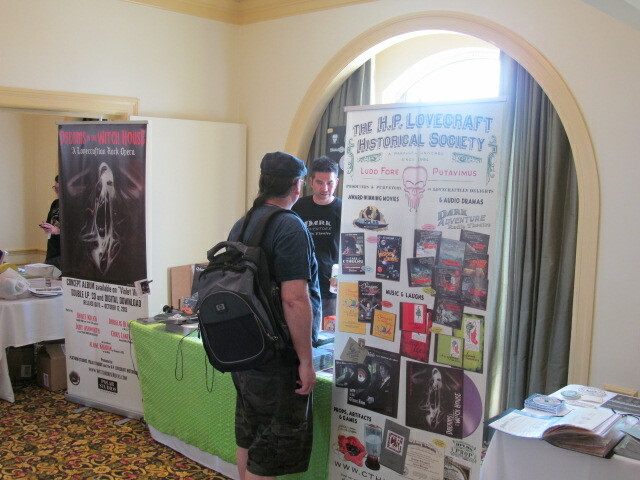 There were events of all types for Lovecraft fans. 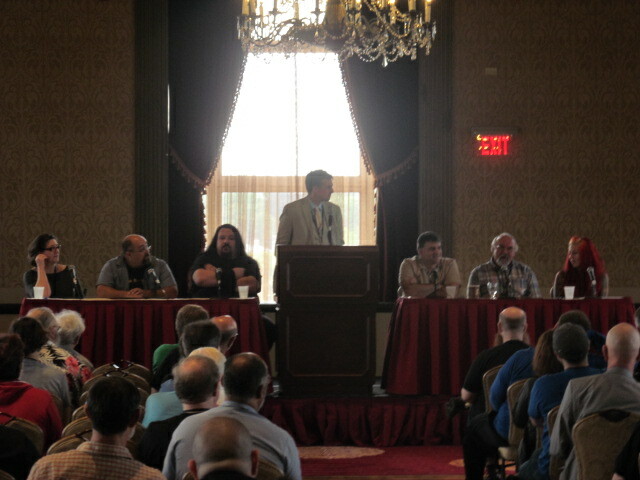 There were also panels and readings throughout the weekend. 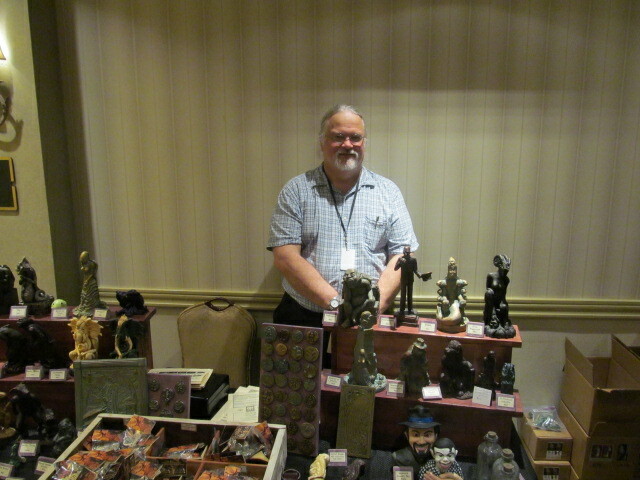 There were also a lot of vendors on the registration floor and on the 18th floor of the Biltmore. 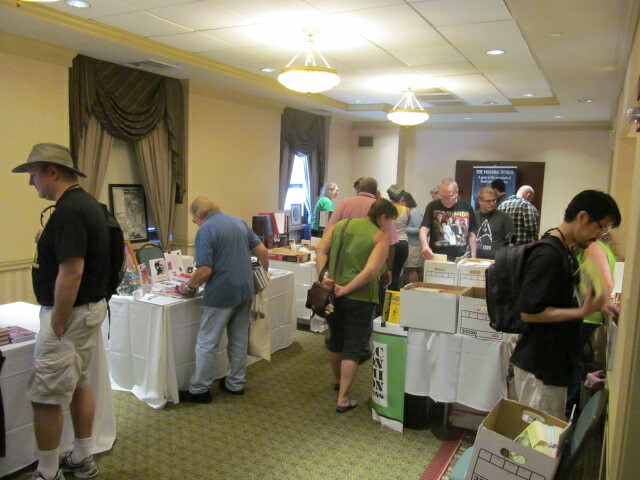 Vendors included publishers, writer organizations, and artists. 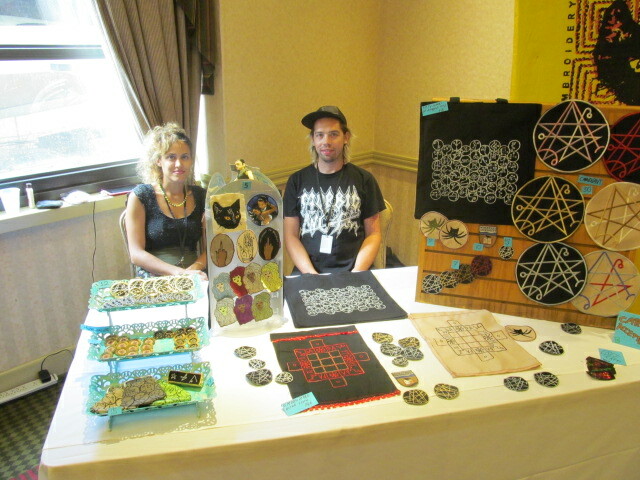 Sam Merritt and Mark Marine of Double Vision Embroidery. You can check out the Double Vision Embroidery Facebook page here. You can check out Elig’s work here. 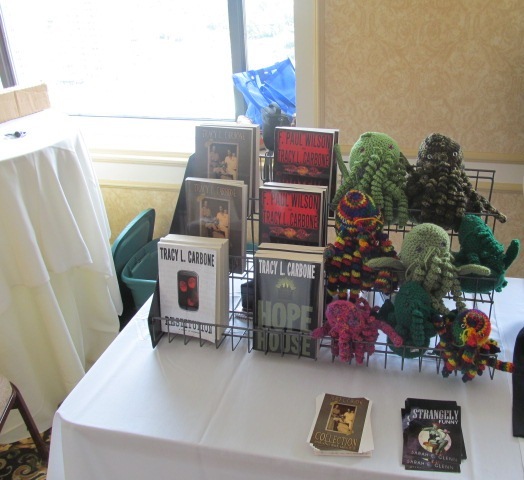 A part of the New England Horror Writers’ table. 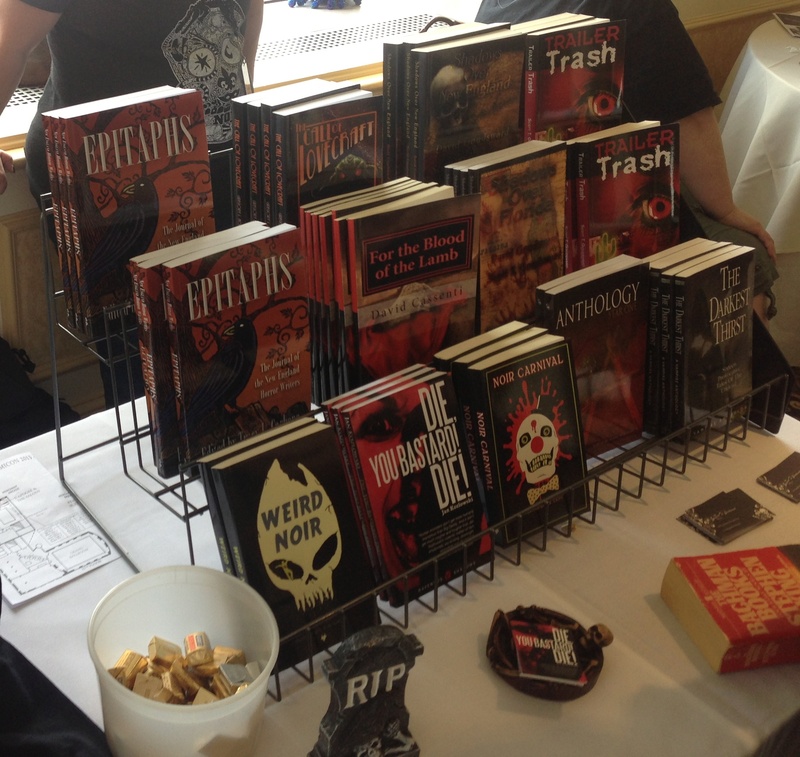 You can check out the New England Horror Writers (NEHW) here. The H.P. 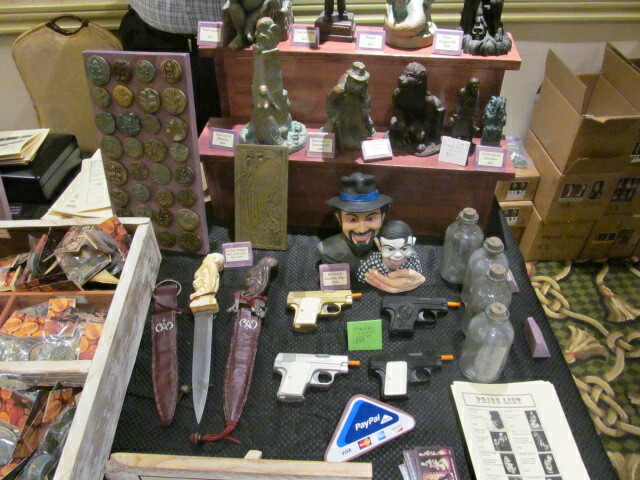 Lovecraft Historical Society’s table. 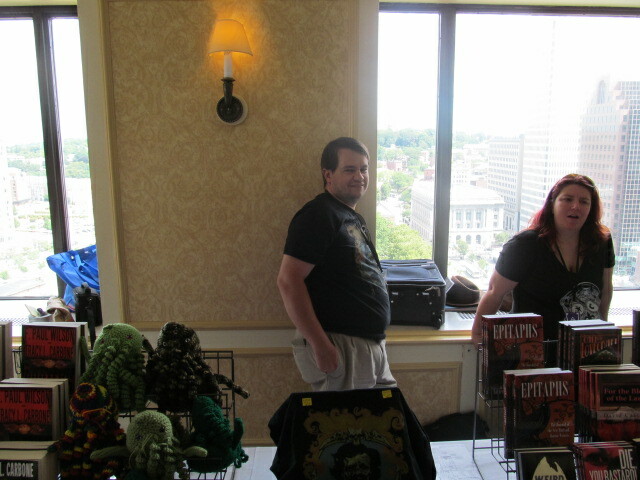 Cinema Knife FIght writer Barry Dejasu holding a Crocheted Cthulhus from the NEHW table. 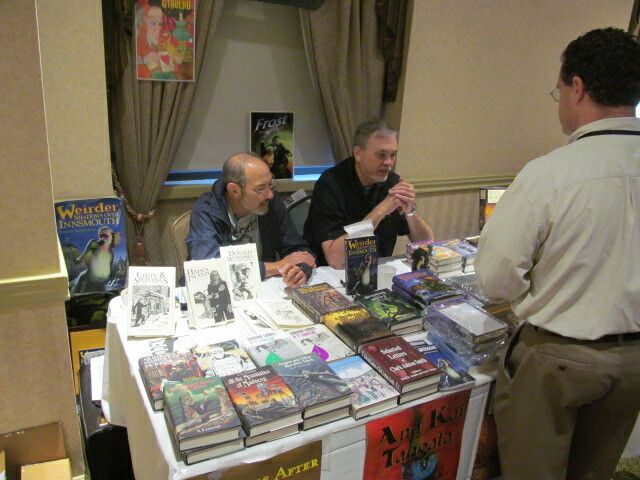 Authors David Cassenti and Laura Hickman behind the NEHW table. 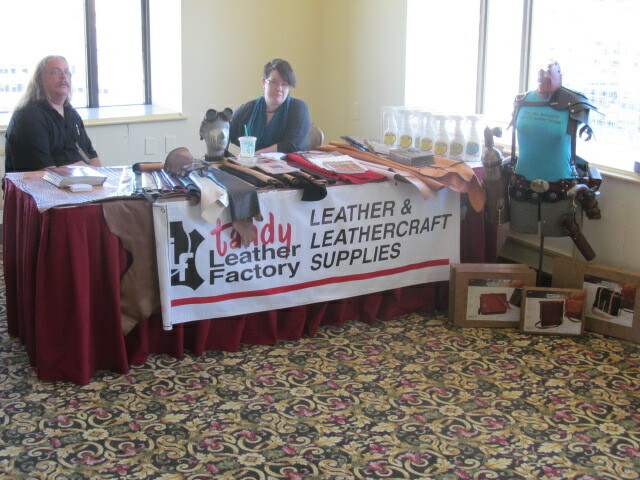 The Tandy Leather Factory table. The Tandy Leather Factory is located in East Hartford, Connecticut. Check them out here. 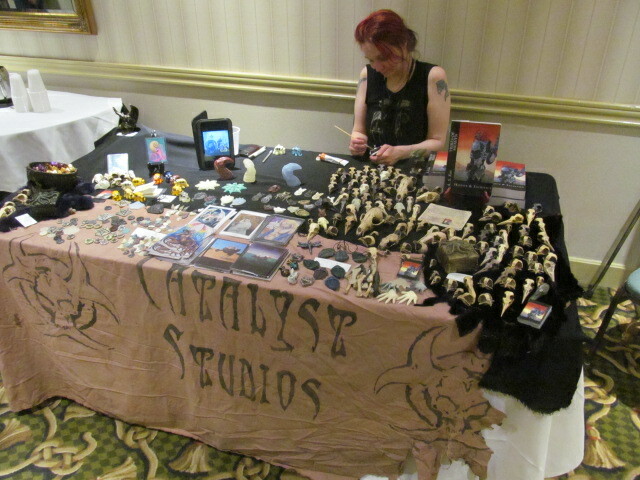 The offerings at the NEHW table. A.S. Koi is a writer, painter, writer, and owner of Catalyse Studios. 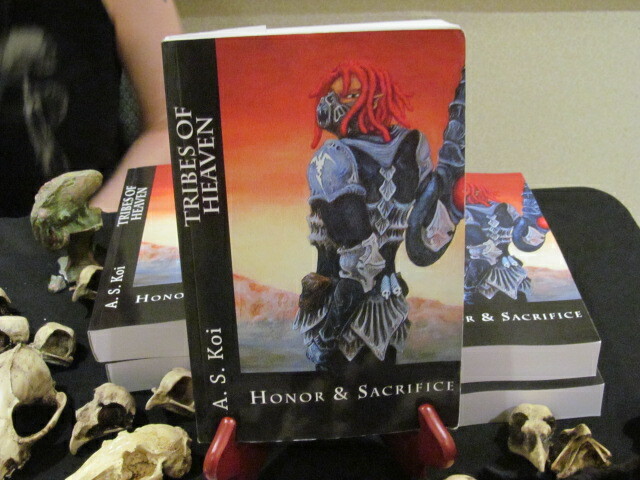 Her first book, Tribes of Heaven: Honor & Sacrifice, took Koi 15 years to complete it, she said. She has three planned in the series, but it will probably be four since that’s what is needed for the proper conclusion of the story. The second book in the series will be released in January of 2014. Joe Broers Miskatonic Valley Ravenswood Studios. 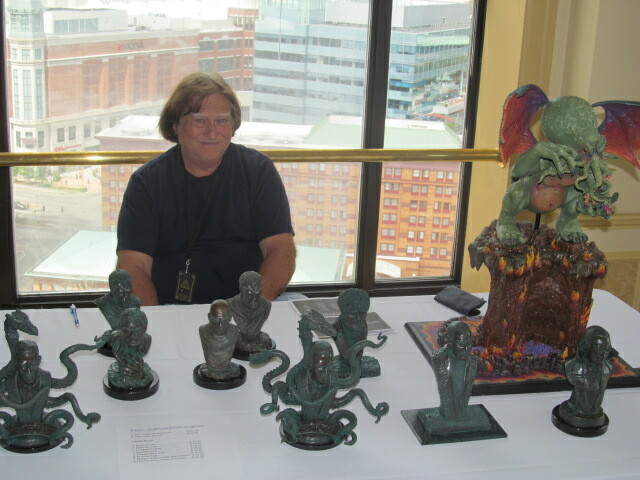 You can check out Broers other sculptures here. 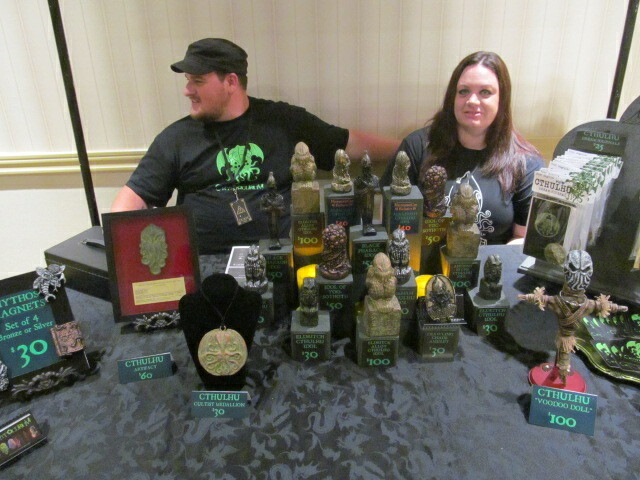 You can check out the Cryptocurium merchandise here. 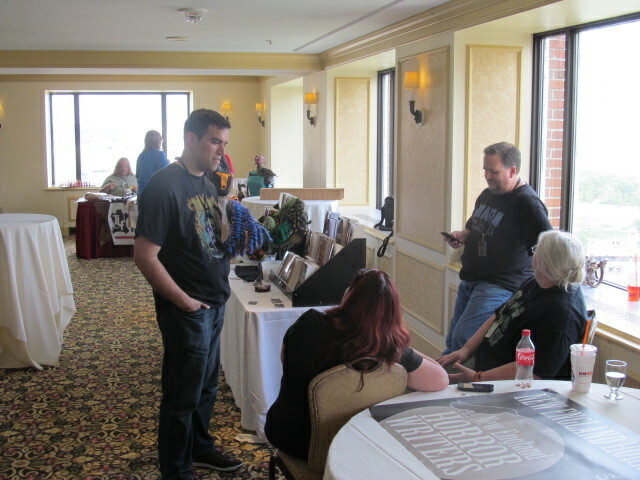 NEHW members Barry Dejasu and Scott Goudsward (both standing) and Laura Hickman and Jan Kozlowski (both sitting) at the NEHW table. 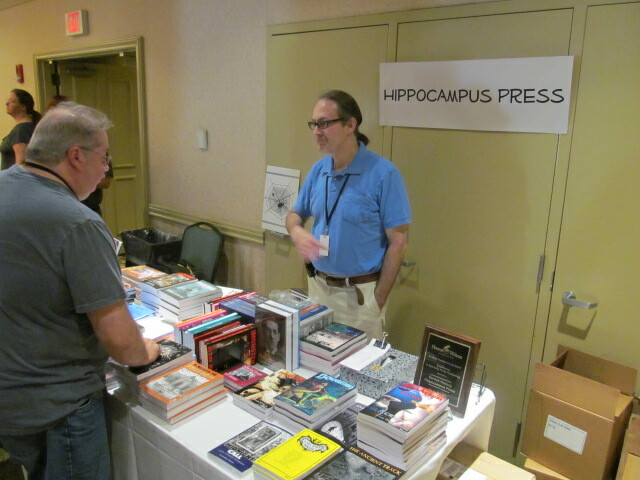 If you missed this year’s convention, there will be one in 2015. Stay tuned to it’s website for information.